The sign and new awning are up outside the new Lab Cafe at Rockville Town Square. 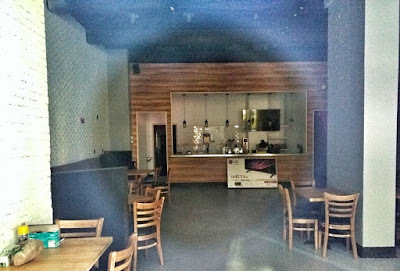 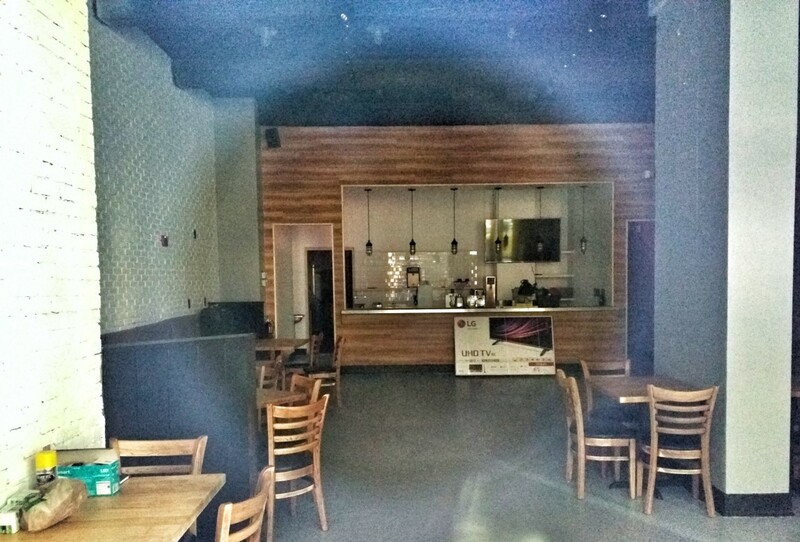 Replacing Ev and Maddy's, the bubble tea cafe is expected to open in mid-July. 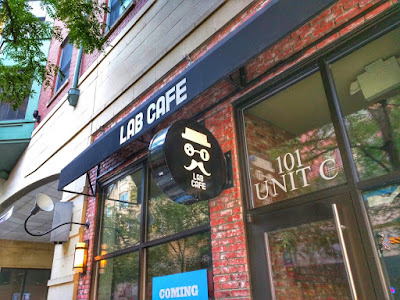 Lab Cafe will be at 101-C Gibbs Street, right next to Little Dipper Hot Pot. 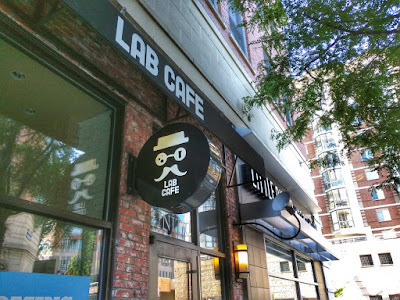 "Signage installed at Lab Cafe in Rockville" -- WHO CARES?